You might know it as a “nose job” but technically it is a rhinoplasty. There are many reasons why someone should seek a San Francisco nose job, not the least of which is that it is often required simply as a cosmetic procedure. While your peers may consider that there is no problem with the look of your nose, it may well be that you feel that your nose is too big, too small, mis-shapen, or has other defects which make you feel uncomfortable, depressed, and that affect you mentally. Of course, it may also be that you have breathing difficulties which require surgery in order for you to be able to lead a normal life along with everyone else. Whatever your reasons for considering a San Francisco nose job there are certain things that you should take into account before going ahead. 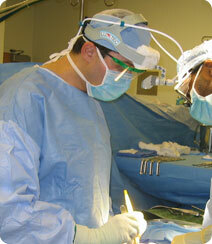 In the medical world a “nose job” is termed a rhinoplasty. As a highly trained and experienced oral and maxillofacial surgeon, Dr Alex Rabinovich has carried out many such procedures and is fully qualified to undertake the surgery that you wish to have. He can make your nose smaller by removing some cartilage or bone – known as nose reduction – or make it larger (nose augmentation). The latter would be achieved by harvesting bone from the hips, skull, or elbow, along with cartilage from the ears and using this to build up the nose. Dr Rabinovich could also change the angle between your nose and your top lip, or he could change the shape of your nose by actually breaking the nose bone and re-arranging the cartilage. Most things are possible. The skin that is over the nose should just expand or shrink to the new shape of the nose. The operation can be carried out by making a cut across the skin between the nostrils, or alternatively by making tiny cuts inside the nostrils. The latter is known as “closed rhinoplasty” and will leave no scars and incurs less swelling, but this type of operation is not always possible. The former is “open rhinoplasty”, but Dr Rabinovich would always recommend closed rhinoplasty where possible. If you are seriously considering a San Francisco nose job you will need to have a consult with Dr Rabinovich to discuss in depth exactly what is involved and to make certain that you are happy to go ahead with the procedure. Fortunately, Dr Rabinovich offers all patients a free consult, no matter what type of surgery they require, and he will never “pressure” a patient into undergoing surgery until the patient is 100% sure that is what he or she wishes to do. The most important thing is that you have all the information that you need in order to make a decision about whether or not to go ahead. Book an appointment with Dr Rabinovich by clicking on the Contact Us link at the top of the page, calling the office on (415)817-9991, or emailing info@doctorrabinovich.com. This entry was posted in Blog and tagged oral surgeons on March 14, 2018 by Dr Alex Rabinovich.